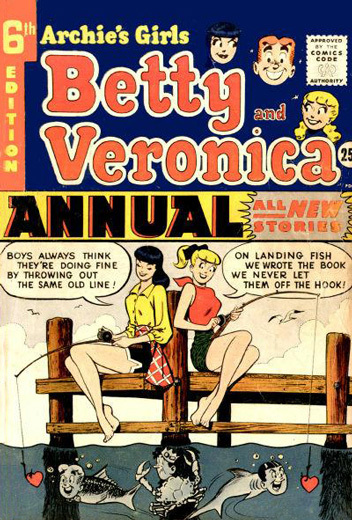 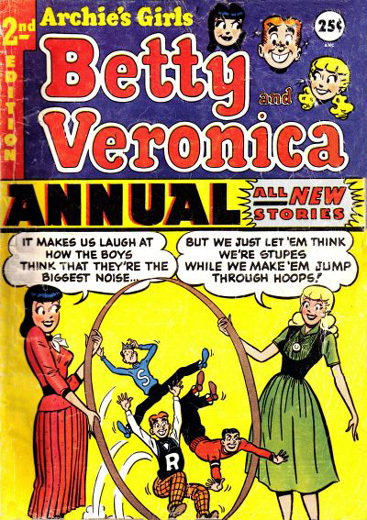 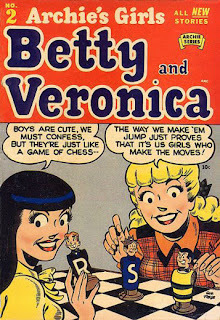 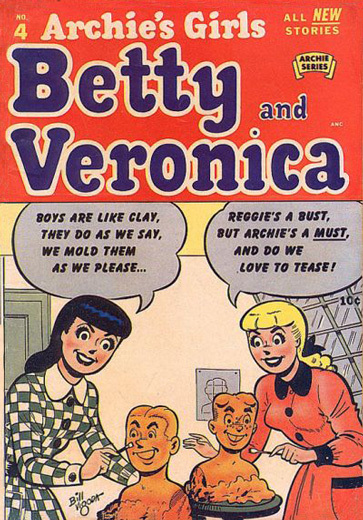 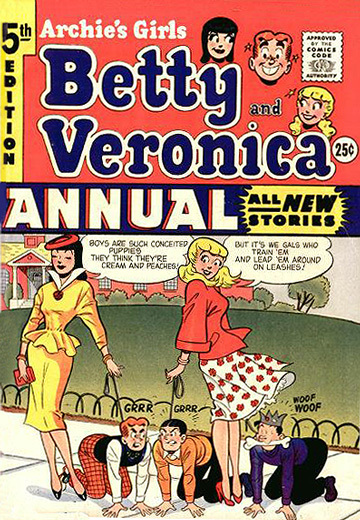 The original 'Betty and Veronica' comic book series were published by Archie Comics from 1950 to 1987, when the series was restarted. 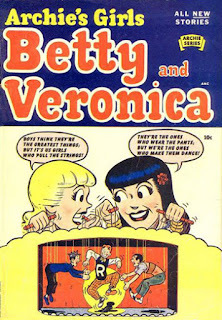 It is dealing with 'normal life' of high-school teenagers and both, stories and drawings carefully avoid all controversial topics. 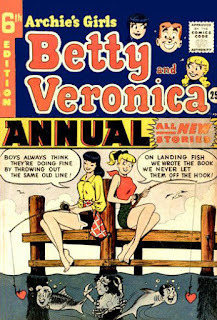 But still, some inspiring 'funny' front pages can be found.